Our family lived at 43 Hinshaw Street during and after WW2. 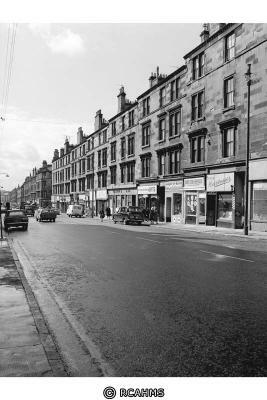 We were re-housed to Cadder around 1954 and although we still visited an auntie at No.43 for a year or two, I didn't see much of the old place before I left Scotland in 1963. We have happy memories of playing "doublers" against the tenement walls. rounders in Doncaster Street, "kick-the-can", C-C-K, visits to Ruchill Park in the summer. I went back for the first time in 1988 and could not believe my eyes, although I already knew that all the old tenements had gone years before. 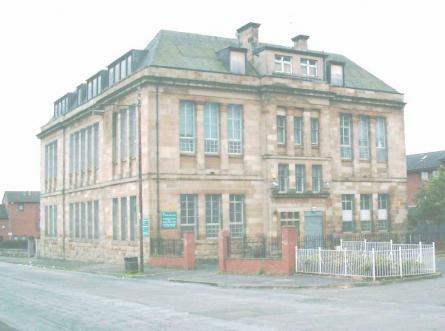 The only building I recognised was our old school, Springbank. I will be back in late June this year and hope to make a visit to this area. None of my family has any photos of these old streets, though I have tracked down an old one of the school. It would be great to see some photos of this area if anyone can help. The Virtual Mitchell website has photos of the Blythswood, Maryhill Rd. Queen's Cross etc. You might like to read Robert Douglas's new book 'Night Song of the Last Tram' which is set in and around your area at the same time. He's reading extracts from it at Community Central Hall on 7th July - tickets going fast at £5. Many thanks for your reply. I live in New Zealand and visited Scotland for a short time in late June/ early July this year. I left Glasgow again on 4 July, so could not have attended Robert Douglas's reading at the Community Centre. However, I did buy a copy of his book "Night Song of the Last Tram" at Waterstones in Sauchiehall Street, as it had already been recommended to me. What a wonderful book - I could hardly put it down! Robert and I were very close neighbours (he lived at 14 Doncaster Street). We went to the same schools (Springbank and North Kelvinside) but he is three years older so we were not classmates. His book brought back some lovely memories of Hinshaw and Doncaster Streets - Bundoni's fish & chip shop and Cocozza's cafe to name a few. On the inside cover there is a map of the general area we grew up in. Like Robert, we had a lot of sadness in our family but also a lot of happiness. Tenement life in Glasgow must have been very hard - we had nine people living in a room and kitchen - but we surely made the most of it and enjoyed life to the full. My sister is now reading this book and I know she will love it. To anyone thinking of buying Robert's book, I would say don't hesitate. Even if you live(d) in another part of Glasgow, you will find it relates to just about any tenement area. If you know of a contact address for Robert Douglas, I would like to pass on my congratulations to him. You're welcome Betty. I've added another for you. I'm glad to see that you enjoyed Robert's book - the reading at CCH was packed out and he proved to be as entertaining in person as he is in print. By the way,you can write to him care of his publisher. If you're looking for other snaps from the area let me know. I have pics of the Seamore and Blythswood, Tramcar Vaults, various schools, shops etc. but seem unable to load more than one at a time, don't know why. 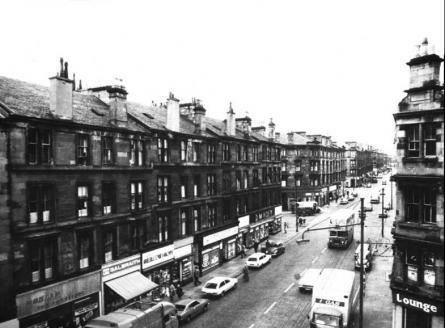 Here's another one of Maryhill Rd. Your wish is my ..... can anyone tell me how to add two or more snaps at a time? Many thanks for the photos, Dimairt. I have got quite a collection now of streets in Maryhill. What I would dearly love is a photo of Hinshaw Street, where we grew up. 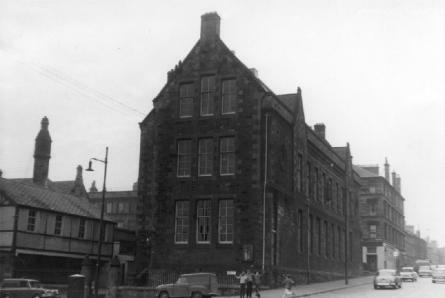 I have got two or three of Springbank School but none of the opposite side of the street (tenement at the corner of Maltbarns Street) or any of the other buildings in the street. Sadly, I did not get time to wander around this area when I visited recently but hope to be back in 2007, when I will be able to stay longer. Looking forward to it already. Thanks also to Aaron for your comments. We were a hardy bunch, weren't we? I am sure the way we grew up helped to build character and was a great education in how to deal with whatever life throws at us. I have often thought how amazing it is that despite the hardship we all seem able to look back on those years with such happy memories. Thanks, Flim - I remember this block of houses well. The one in the photo is at the corner of Hinshaw and Maltbarns Street. Over to the right, there are some newer brick buildings. This is where the tenement was that I grew up in. 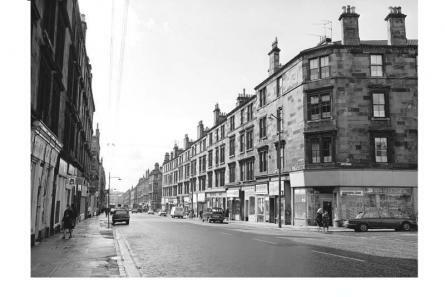 There was a bit of spare ground between the flats in the photo and our tenement (No.43 Hinshaw Street). The school (Springbank) is still there but I believe it is a community centre of some sort. Appreciate your interest. Great to see more photos appearing, keep them coming.Here's one of my old school, Oakbank Primary on the Garscube Rd. 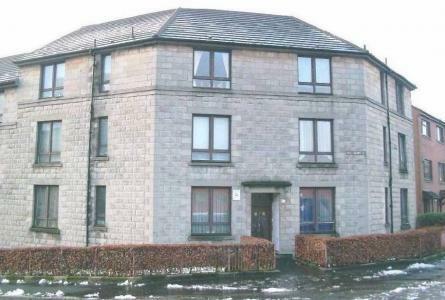 We lived opposite in Oakbank Terrace - I'd love a photo of that. Anyone? I recommend the exhibition of Partick Camera Club's photos from 1955 at the People's Palace. We have them here at the Mitchell - see virtualmitchell - but it's great to see them on display like this.